Help your child stay comfy both on and off the field whether training or taking it easy with these Canterbury CCC Tapered Youth Poly Knit Stretch Rugby Pants in Black. Great for exercising in on the practice pitch, these cosy track pants are also great for wearing as casualwear and chilling out in on rest days. 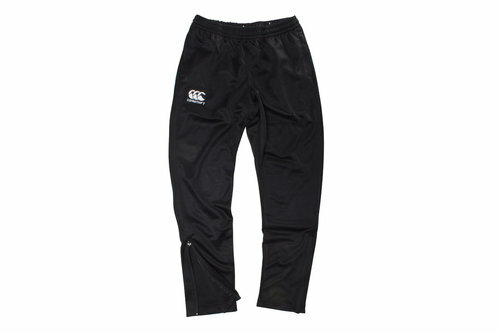 Help a young rugby fan relax or train in these CCC Tapered Youth Poly Knit Stretch Rugby Pants from Canterbury.